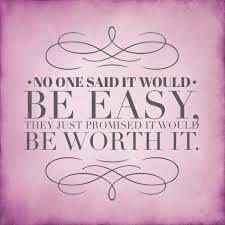 No one said it would be easy, they just promised it would be worth it! The day that I had been working toward since January finally arrived. 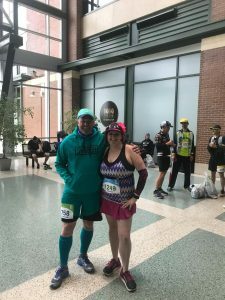 The Cellcom Green Bay Marathon. I have run this event for 8 out of the last 9 years, either running the 5k or the half marathon. This time, it was game on, all the way. 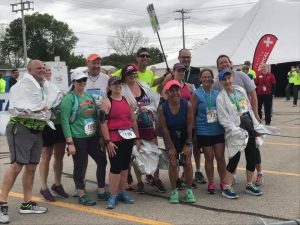 My first Full Marathon. 26.2 miles. When I finished my first half marathon back in 2010, I said there was no way that I was going to run a full marathon… but yesterday I ate those words. Last December when I was getting ready to sign up for Cellcom, I started really looking at my race calendar for 2017. At that time, I had already registered for the Titletown Ultra Series, with goals of hitting that 50k that I missed last year. It was at this time that I started looking at my training plan for the 50k, and then the training plans for Cellcom. I realized that many of the long runs for the 50k lined up perfectly with the longs runs for the Cellcom Marathon. It was almost too perfect. If I was going to run a marathon at some point, this seemed like the most logical time to do it! I could train for both races at the same time. 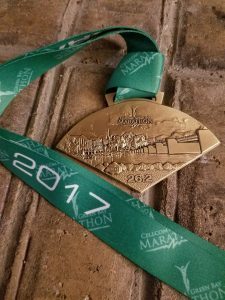 So I bit the bullet and signed up for the full marathon! I think I had a small heart attack that day I hit submit on my registration. Thankfully, I had a group of friends that I knew would be there to help me get through the training! They say it takes a tribe to raise a baby… the same can be said about training for a marathon! I am blessed to have my tribe that I know I can count on, that are willing to put in the miles with me. 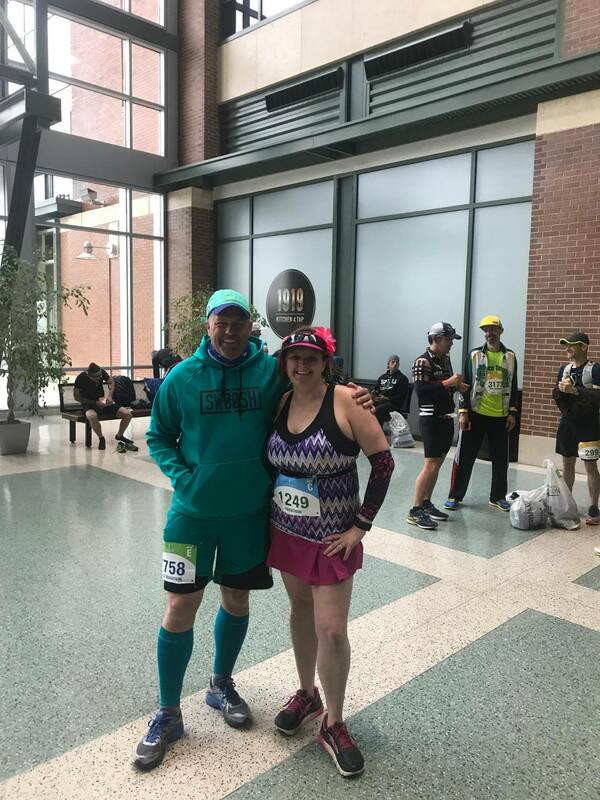 We spent the last 4 months running in sub zero temperatures or snow showers (I prefer NOT running on the dreadmill, if at all possible, which means dressing for the elements!). There were also early Saturday long runs through pouring rain (that was THE longest 20 miles ever! 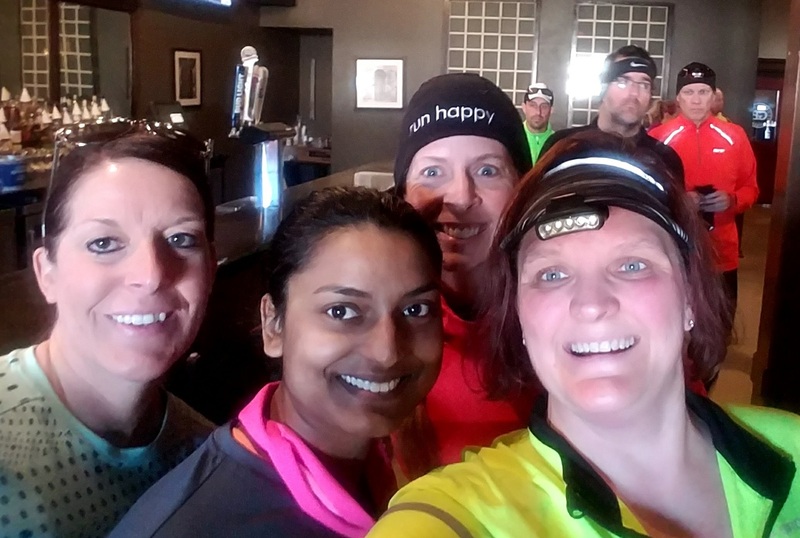 ), evening runs out on the trail (and making sure other lost runners made it back to their car), and morning runs during the week before everyone had to head to work (and knowing exactly where every restroom was… just in case). I am thankful to each of my friends that helped me get in the training miles that I needed! It was awesome to see so many of these same friends at the expo on Friday, as we were all picking up our race packets. 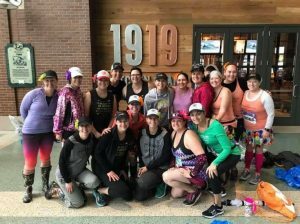 Comparing training stories, goals for Sunday and what our future race plans were. The hard work was coming full circle. All that was left to do, was to actually get out there and run! One thing that was tough leading up to the start of the race on Sunday,was knowing that almost everyone else that I had been training with, was running the half marathon. Meaning they were not going to be at the start line with me since the Half starts an hour after the Marathon. It’s been tradition that we all meet up at the feet of the Lombardi statue a half hour before race time for pictures. I was going to miss that this year! When race day arrived, we were blessed with some beautiful spring rain showers. 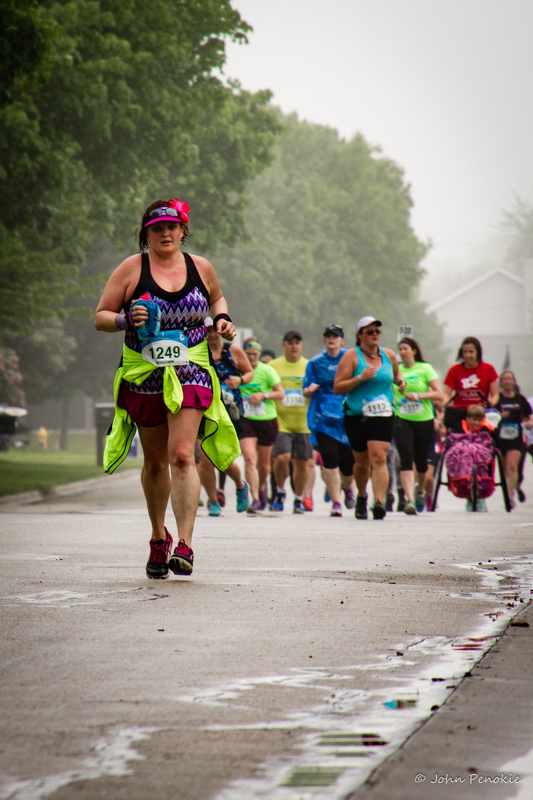 Thankfully, it was still warm enough that I didn’t have to worry about making any changes to what I was wearing, just added the windbreaker to wear at the start. I have come to love my Skirt Sports Jette Skirt for the long runs and have recently added their Super Girls Tank to my wardrobe. The pockets in the skirt, combined with the three pockets on the back of the tank, plus a cleavage alley pocket pack it easy to carry pretty much anything I need with me! 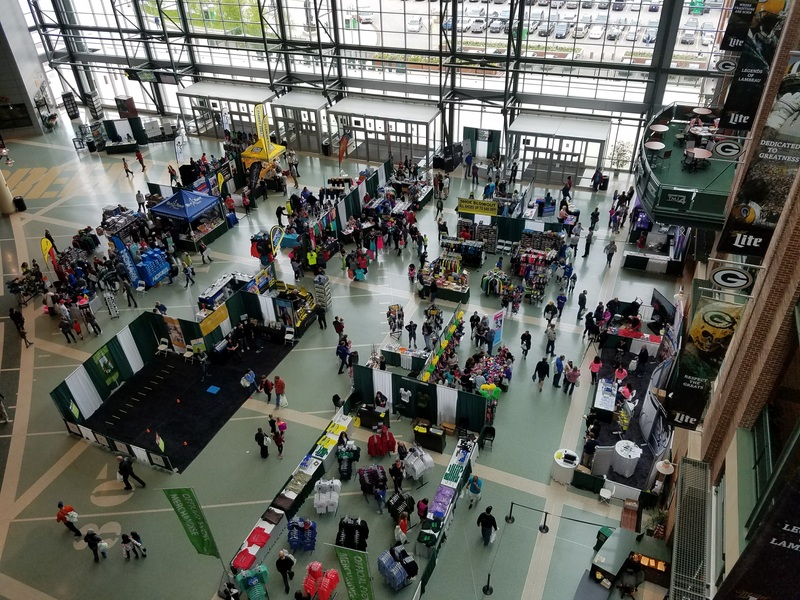 The Atrium at Lambeau Field was full of activity with runners getting themselves ready to run and groups gathering for photos before the start. Usually most of this activity takes place outside on the plaza, but with the pouring rain, everyone gathered inside. We also were waiting for the official announcement to see if we would actually be starting on time! Don’t worry tho! I was not alone! I had several friends that were running the marathon relay, so they were all hanging out inside with us! We had some laughs, shared some photos and helped motivate each other! My good friend Kris was also there! He and his girlfriend came down early for the start of the half marathon just to see me off. He could have easily stayed in bed for another hour, but was at the stadium shortly after I was! Kris is one of the many friends that I have made while running over the last few years! A friend introduced us a few years ago and since then we have shared many training miles together, as well as race miles (even tho I usually can’t keep up with him!) Tracie also made it down to say hi quick, before I had to head to the start line. In true fashion, we both were running is 6 different directions and had enough time to say hello and head off! Finally it was time to face the rain and head to the start corrals! 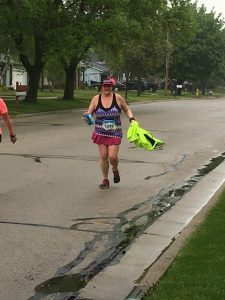 Running in a rain poncho is not really my idea of of fun, but when you have 26.2 miles in front of you, getting wet before you even start is usually not the best option. Thank You Cellcom for giving away rain ponchos at the expo… and thanks to the new friend I made that morning that gave me her extra one… since I left mine at home on the kitchen counter! I decided to join up with the 5:30 pace group for the start of the race. I knew that they were running at the same run/walk interval that I had been training at, but I wasn’t completely sure how their planned pace was going to work for me. I knew that I needed to make sure I kept this as my race and my pace if I was going to prevail. Thankfully, the rain let up about the time that we were passing mile 4. By this time, I had pulled off my windbreaker and tied it around my waist. I opted to leave the poncho on at this point in the game, because there was a nice breeze that kept the leaves on the trees moving, sprinkling water on us as we ran under them. Once I made it to the First Aid tent at mile 7, I left the poncho behind! Approaching mile 8.5 aka: Carl and Michelle’s house! Before I knew it, I was at mile 8.5, which was aid station #1 for me! John and Darrin were hanging out at Carl and Michelle’s house waiting for me to run by. This also was my first personal aid station! I had packed a cooler with refills on my Tailwind, Honey Stinger Waffles, chews and Kwik Trip Pickles! I never know what I am going to want to be hungry for when I run, so I decided I’d rather be over prepared! A quick stop to refill my Tailwind and grab a bag of pickles and I was off! I did have to laugh because just after I headed back out, the 5:30 pace group caught up to me. The first thing I heard was “I smell pickles!”. I held up the bag and everyone got a good laugh! Several did admit that the pickles was a good idea and that I was way too prepared. Or maybe it was just over cautious of making sure I stayed fueled! The next several hours were spent playing leap frog with the pace group, chatting running and races with others in the group and just enjoying the day. 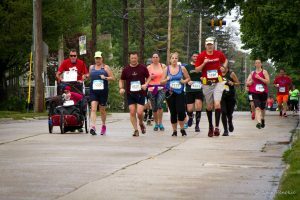 Having a good pacer in any race is key, especially when you are running an event for the first time. We had many first time marathoners in the 5:30 pace group so it was comforting to know I was not alone in this new experience. Now I could sit here and go into all the details of the 26.2 miles from the start line to the finish, but that’s not what we are here for… and that could be enough to write a book. 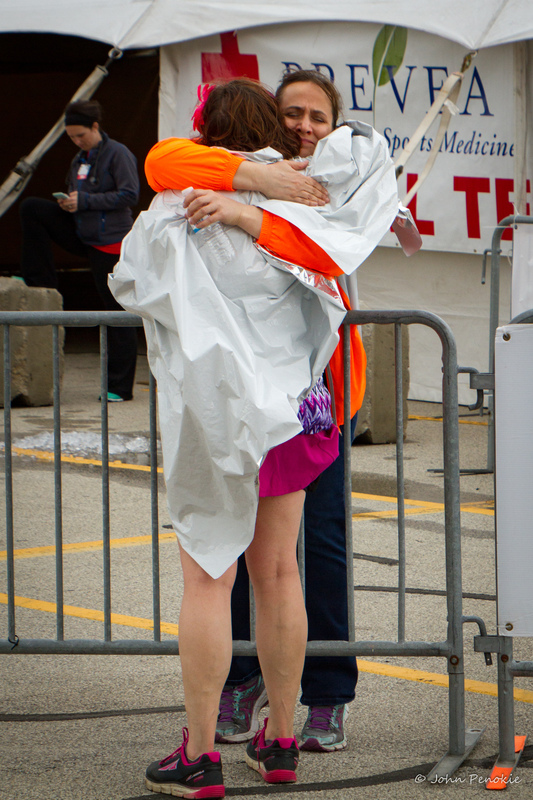 There are some key things that I will forever cherish about my first marathon. Every so often I would see John and Darrin along the course and was excited to see that our friends Holly and Caitlyn had joined the party. I had my own personal buffet on a lawn chair each time that I saw them, but usually only needed a refill of my tailwind. I did have snacks tucked into the pockets on my tank, so I was set on food! I went into this race with two goals. 1. To finish on my own two feet 2. Finish in under 6 hours. I made a promise to myself that I was going to run my race and taper back my pace when and if I needed to. Today, that was about mile 16. I let the pace group travel on ahead without me, as I changed up my intervals a bit. I still had quite a few miles to go and needed to make sure I could finish. Somewhere between miles 16 and 17 I met Carol. 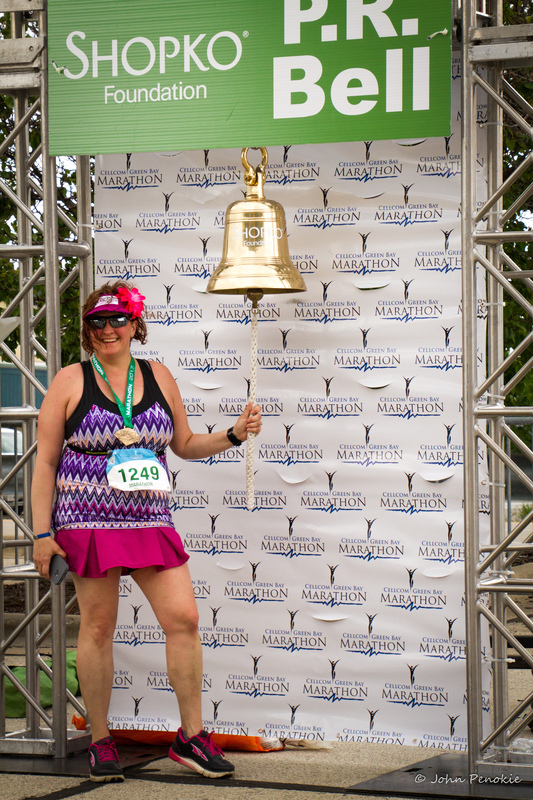 Carol was also running her first marathon… and had decided that it was going to be her last. She was going to finish, but this was a one and done, check it off the bucket list and move on. We shared a few laughs about ice, and places to stuff it during a race and then proceeded to cover the remaining 8 miles together. We kept each other moving forward, motivating each other to reach that goal of finishing in under 6 hours. I am a firm believer that everything happens for a reason. I truly believe that Carol and I ended up at the same spot on the course together for a reason. We were going to finish. 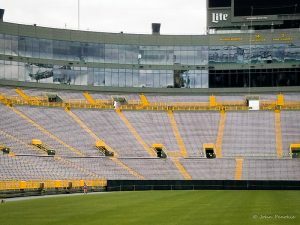 Over the next few hours, I’d share tidbits of information about Green Bay (she lives a little further south in WI) and why we were running through City Stadium, as well as lambeau field. We shared stories of our training, some other events we have done and who knows what else. After that many miles, runner brain sets in and you really can’t remember what all happened between the start and finish line! 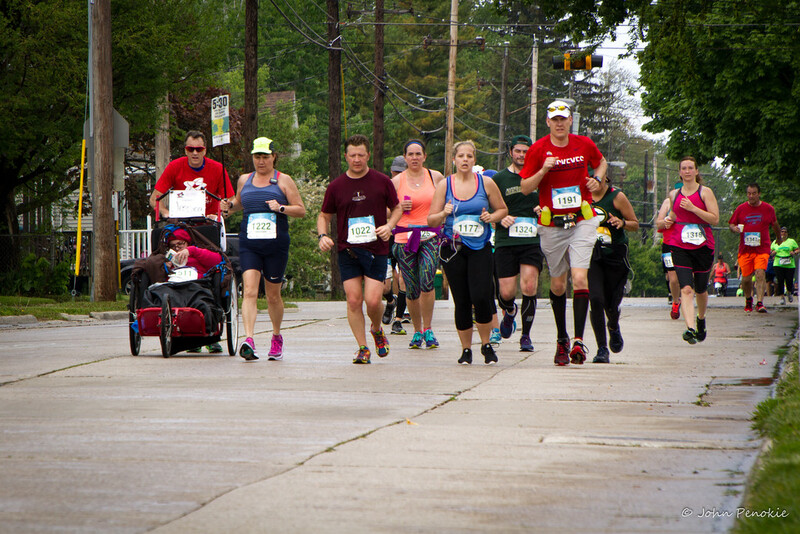 When we heard the 6 hour pace group a few blocks behind us, we tried to pick up the pace a bit, but between my blister and her legs, we could only do so much. We ran when we could, but did end up walking a good portion of the second half of the course. But we kept moving forward. finally, the inevitable happened. At mile 24.5, the 6 hour pace group caught up to us. But they didn’t just pass us up and move on. Paul, who was leading that group commented that he heard that we wanted to finish in under 6 hours. He was going to make sure we got there. He wasn’t going to leave us behind. Run a minute, walk a minute. That was the current plan of attack. By the time we made it to the corner of Ridge and turned to head into the stadium parking lot, my feet needed to go. Paul helped me find my 2nd wind… ok maybe by now it was my 5th or 6th wind. Regardless, I needed to move. I knew that Carol was in good hands with Paul and his crew and I pushed on. Right around the corner was the 1 mile to go mat. 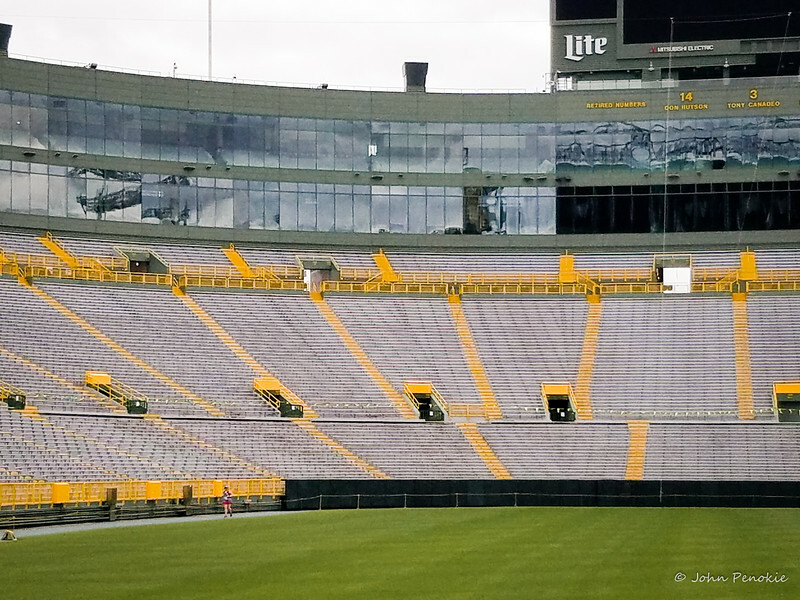 Beyond that, the tunnel into the stadium, a loop around the field and then back out to the finish line. I walked, I ran, I pushed forward. Back into the tunnel and up the ramp. The finish line was just a few hundred feet ahead. Finishing this race 6 hours after the start means a quiet finish line area. 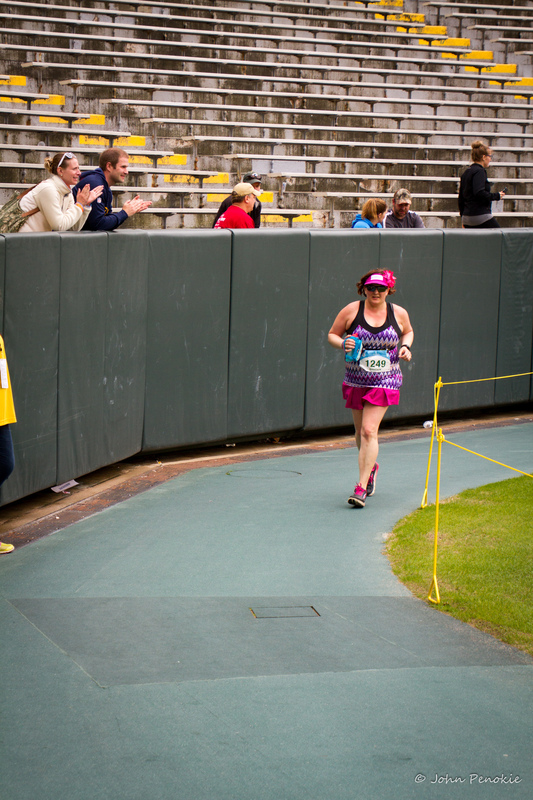 Most spectators are gone, the crowd of runners is diminished, so you can savor that finish for yourself! 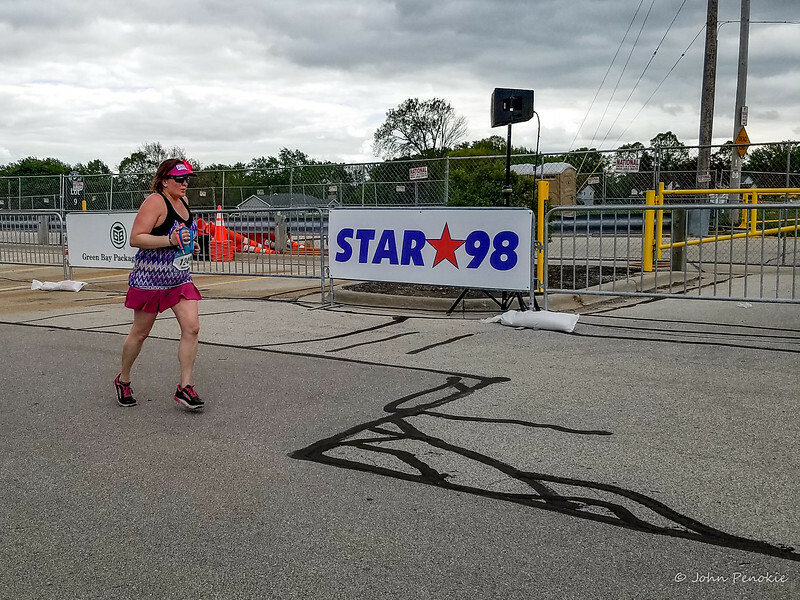 There were a few people in the stands that I heard cheering as I ran through, but I was so focused on crossing that finish line that, aside from seeing John, Holly and Caitlyn in the stands, I never had a chance to look and see who it was. 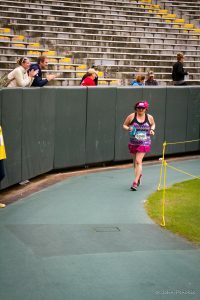 So if you were one of those in the stands cheering as I finished, Thank You! I may not have acknowledged you, but I heard you! By this time, Carol crossed the finish line too! She was not far behind me! We did it! I found her chatting with her son, who had finished well before us. We may have been strangers at the start line, but were crossed the finish line as friends. Paul and the rest of his crew were also right on our tails! There were high 5’s all around as we had to stop quick for a group photo at the finish line. 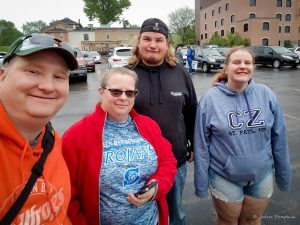 I say quick photo because none of us wanted to stand still for too long, the legs were stiffening up quick… and we still had to get our medals and then walk to find our cars… wherever they were parked! This was the first time that the Cellcom Marathon had it’s own PR Bell and since this was my first marathon, no matter what my time, it was a PR. I was ringing that bell! There were not a lot of fast movements for the rest of the day. After getting through the finish line area, I stopped at the beverage tent for an ice cold root beer, said hello to a few co-workers who were volunteering and headed to the car. It was time to start the recovery process! Next stop, cryotherapy and a huge burger. Yes in that order! 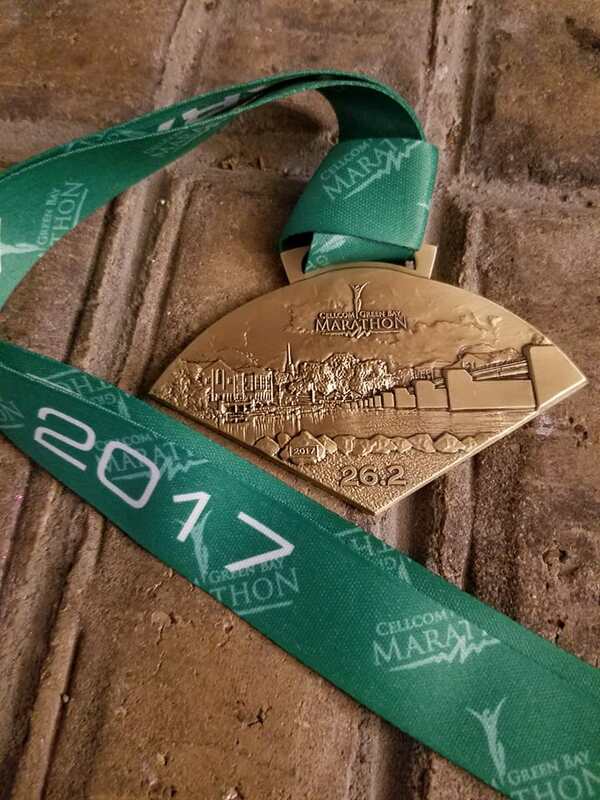 In the end, my first marathon was an amazing experience. I had a fabulous group of friends that helped me get through the long hours and hundreds of miles of training. My family awesome (and many times extremely patient) with my crazy training schedule. Andy provided me with the strength training to keep me moving. Like I said earlier, it takes a tribe to run a marathon. I found my tribe and I am forever grateful for them! The jury is still out on if I will run another marathon. Don’t get me wrong, the experience was amazing, but part of me really enjoys the trails. There is nothing that beats running through the trees, pounding the mud and dirt instead of the pavement. No matter what, I have no intention of slowing down! 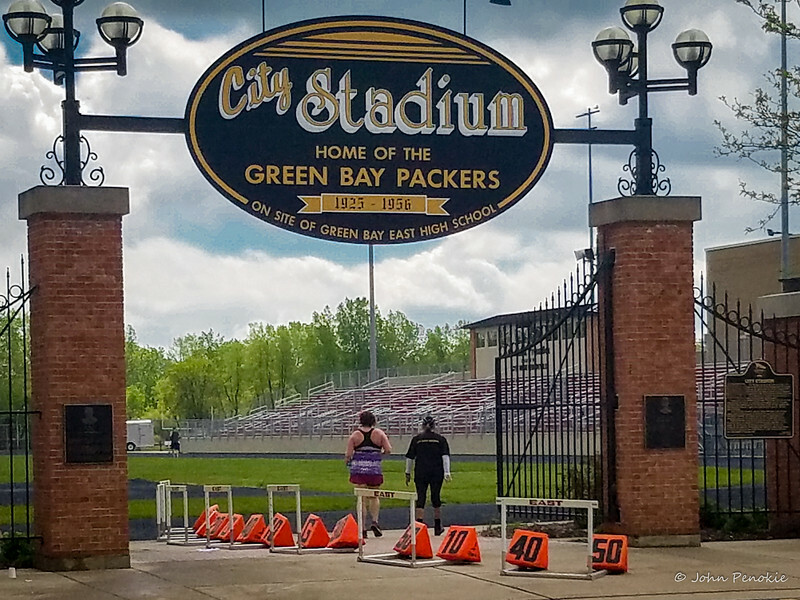 Next stop, Titletown Ultra Series at the end of June! Who’s running with me!?!?! **I am a brand ambassador for Skirt Sports. I am paid to mention them in my blog or to wear their merchandise. 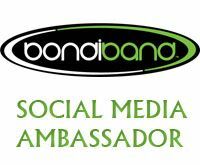 I loved the brand and the message “Real Women, Real bodies” before I was invited to be an Ambassador. You can find out more about her story and the merchandise on www.skirtsports.com. Some links above are affiliate links and I may be paid a small commission for any purchases made via those links. You are such an inspiration!!! I have no desire to run a full but after reading your blog a little bit of interest peaked…just a little. 🙂 You’re a rockstar, Amy! Thanks lady!! Happy to have met you during this journey and that you are now part of my tribe! Awesome blog ! Congrats on your finish and Im grateful to be part of your journey. Like you said you meet up with certain people in life for a reason! The adventures we have been on since have been awesome! Thanks Robin! We’ve had some crazy adventures over the last few years and look forward to many more to come! So happy our paths crossed at the Fall 50 years ago and our friendship continues today. You inspire others by not only the races you do but by helping others reach their goals. Thanks for being my running buddy on my long runs! I look forward to many more! Right back at you! Thanks to you, I have removed “only” or “just” from my vocabulary when I refer to how long my run or race is! Here’s to many more miles in the future! You are so inspiring Amy, and I love that you’re just like me 😊 I NEVER thought I’d do a marathon – or even a half, but somehow, like you, I signed up! Thank you you for sharing your marathon journey – it’s no easy feat, and it goes to show with determination and strength you can accomplish anything. 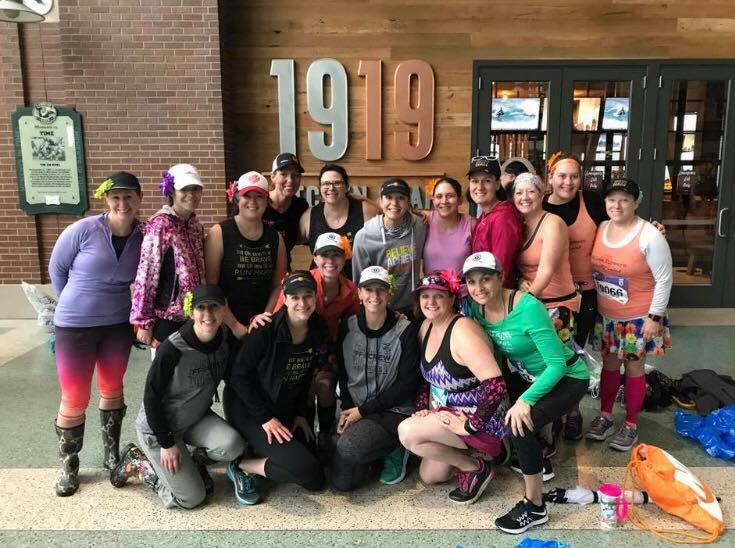 I completely agree it takes a tribe for a marathon – I had running buddies who would do short stints with me, and so many cheerleaders the day of. Those supporters don’t know just how much they do for your determination! I love all your pictures too – I wish I’d better documented my marathons. Congratulations – you’re now in the 1%! Keep sharing your stories- they are encouraging and motivating! Thanks lady! I can’t wait to one day when we actually can meet face to face! and yes, I did get lucky that John decided to come out and take pics all morning!! because I sure didn’t take many! And this is why they call me Crazy Hamster!